Super flush wire cutters allow you to cut a nearly flat surface on your silver and gold filled wire. They require the least amount of pressure to create a cut which means you have less hand fatigue. This also means that they will wear quicker than other side cutters but you can have them reconditioned to extend their life. Lindstrom wire cutters﻿ are my favorite nippers because they fit my hand and they are quality made tools. They have adjustable box joints, double leaf springs, anti-glare finish and comfortable handles. These cutters are only rated for wire cutting up to 16 gauge. I only cut wire up to 18 gauge thick with my Lindstroms to extend their cutting life. Set the adjustable jaw-stop to prevent the blades from colliding. When set properly you will see a sliver of light between the cutting blades. For heavy duty wire cutting I use Xuron super flush cutters. They are rated for up to 14 gauge wire cutting. I don't usually work in wire thicker than 16 gauge but you can get end cutters that provide more cutting leverage that leave clean cuts. I'm guilty of cutting bundles of 21 gauge square gold filled or sterling silver wire with my Xurons. Yeah, I know it's not the smartest thing to do but I'm lazy. Xuron or Swanstrom memory wire cutters are the best tools for cutting memory wire. 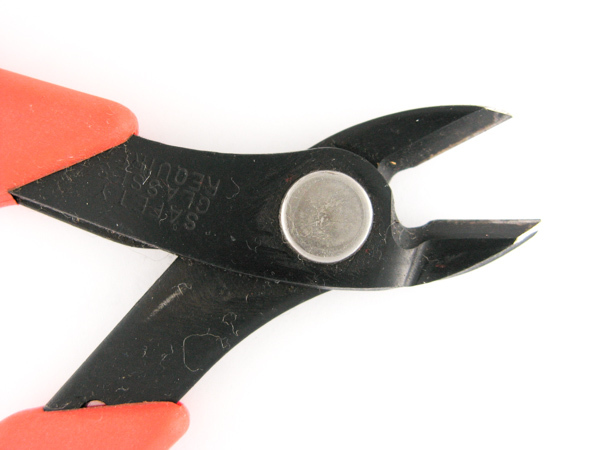 You don’t want to use your other wire cutters for this job because it will quickly dull the cutting surface. So get a special pair of cutters for your memory wire and extend the life of your flush cutters. 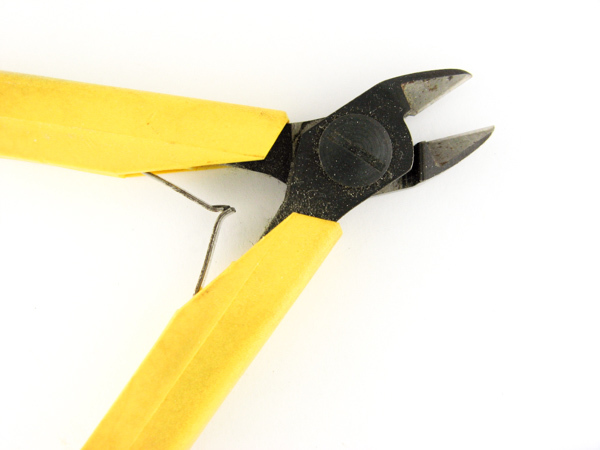 These are top-quality wire cutters for stainless steel memory wire up to 18 gauge thick. Having a variety of super flush wire cutters for small tight cutting jobs and heavy duty wire cutting jobs is the best way to go. Check out our page on jewelry pliers for my recommendations on choosing your basic starter set of pliers.